I was born and brought up in an Iranian Bahá’i family. In 1962 when the call came to win the goals of the Ten-Year Plan, I responded. This pioneering was actualized with the assistance from Mr. Jamshed Fozdar, who was the Regional Spiritual Assembly (RSA) of South East Asia. Mr. Houshang Ma`ání, a pioneer from Iran to Indonesia had given the names of three of us schoolmates- Firaydun Mithaq, Hedi Ma`án’i and myself to the RSA as possible candidates to pioneer in South East Asia. Firaydun and Hedi left earlier, but my departure was delayed as my passport came in late. The instruction given to me was to arrive in Thailand at once. When I started packing, my classmates, neighbors and even some family friends pressed me to stay on and concentrate on my studies to construct a good future for myself, but I knew my future was pretty much safer in the hands of the Blessed Beauty. I had to decide between my future and the most pressing need of the Cause. The Ten-Year Crusade launched by the Guardian was entering its final phase and there was so much to be done, and no time was to be lost in this greatest global enterprise that would come only once in the life of this planet. The entire Bahá’i world geared into full swing to bring victories for the undying love they had for the Cause of Bahá’u’lláh, and the beloved Guardian. It was with all excitement that I left Iran by Pan American Airlines on the early morning of Wednesday 5 December 1962, my 20th birthday, for Southeast Asia. Upon arriving in Bangkok, I was received by Mrs. Shirin Fozdar, accompanied by Miss Banu Hassan, a pioneer from the USA and Miss Zeenat Yaganegi, another pioneer from India. Miss Banu was already on her way back to USA, after having served in Laos for seven years. After four days, I flew from Bangkok to Saigon, to meet with Mr. Jamshed Fozdar and his family. After a few days in Saigon I returned to Bangkok. That short trip to Saigon was for the purpose for evaluating where I would best fit for Bahá’i services, given the types of skills that I may or may not have had. My fate was not settled yet. In mid-December 1962, Mrs. Shirin Fozdar, Ms. Zeenat Yaganegi and I traveled by train from Bangkok to Singapore. Mrs. Shirin was on her way to attend an RSA meeting scheduled to be held in Jakarta, Indonesia. She left me in Singapore in the hands of Mr. Maheshwar Dayal, a pioneer from India. Having learned from Mrs. Fozdar that Dr. Muhajir was going to be present at the RSA meeting in Jakarta, I wrote a short letter and submitted it to Mrs. Fozdar to deliver it him. In it I had expressed willingness to serve the Cause wherever there was a need. Later upon her return, she said she had given my letter to the Hand of the Cause, and told me that Dr. Muhajir was pleased with my letter and had assured prayers for me. This was my first indirect acquaintance with Dr. Muhajir. Once Mrs. Fozdar had left Singapore by air for Jakarta, Zeenat remained in Singapore for a few more days at the home of Mrs. George Lee, a wealthy Bahá’í. I was assisted by Mr. Dayal to travel north to Seremban city in Malaya, to wait for my pioneer posting. I anticipated that upon her return, Mrs. Fozdar would inform me where I would be serving. In Seremban I was taken by the Bahá’í youth to the home of Yankee Leong, the first Malayan Bahá’i, located at 333 Rahang Road. His home was by this time used as Seremban’s Bahá’í Center. This is where I saw so much dynamism in any Bahá’i community. I saw many Bahá’í coming each evening to this Center, and it was simply lively. Satanam, Mariappan, Sabapathy, Alan Tan and Isaac de Cruz were among those great youths. During the weeks, I engaged in the study with the youth the book, The Dispensation of Bahá’u’lláh. I joined them in their daily teaching trips to the rubber plantations. 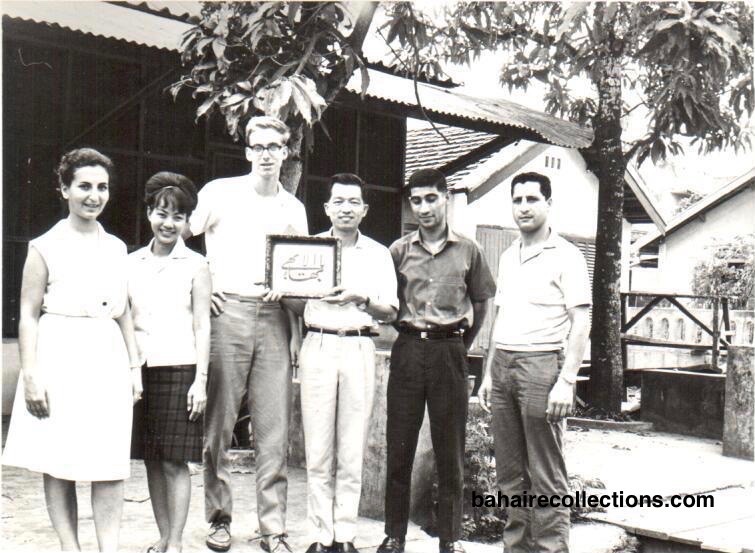 During the first several weeks of this period in January 1963, I accompanied a group of the youth in travel-teaching and visiting the Bahá’ís in the towns of Alor Star, Penang and Ipoh. The youth who were with me in this teaching trip were Vasudevan from Malacca; Alan Tan, Sabapathy, and Isaac De Cruz from Seremban. They were truly gallant teachers who were filled with such a passion for teaching. On this trip they engaged in meaningful conversations, often referring to the guidance that Dr. Muhajir had left behind. I enquired of the youth what was the cause of so much dynamism that they demonstrated in their personal lives and in the field. They related stories about Dr. Muhajir and mentioned that he was a great factor in shaping them and the Malayan Bahá’í community. 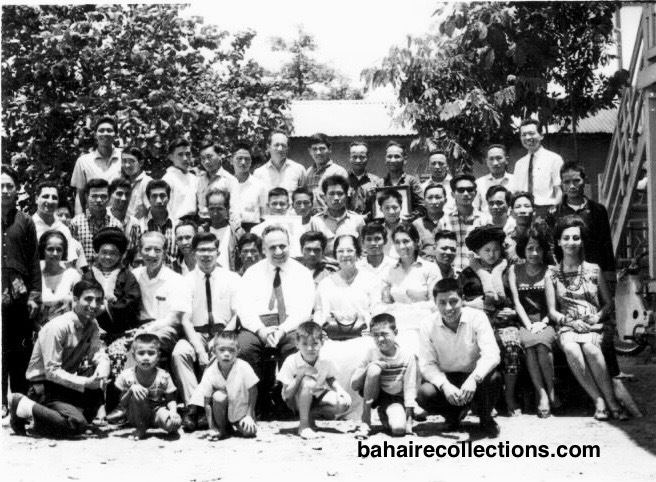 Dr. Muhajir seemed to be constantly in the minds and hearts of the Bahá’ís of Malaya. The examples he employed in the teaching field were frequently referred to by those Bahá’ís in our conversations. He remained a model that the Malayan Bahá’í friends emulated on every occasion. Those stories on Dr. Muhajir fired my enthusiasm to meet him in person. While I was in Seremban, the RSA had decided to send me to the Borneo states of Sarawak, Sabah and Brunei. Therefore I was in those states right up to February 1964, to carry out travel-teaching and consolidation work among the Iban tribes living in the long houses. Along with Yankee Leong and Maniam, I was also involved in teaching Chinese groups in Kuching, Sibu, and Kapit, after returning from the long houses of the Iban people in the “ulus”—up rivers. Yankee Leong, himself a devoted friend of Dr. Muhajir, was our guide and mentor in how to present the Faith to Ibans. He would on occasions have told us what instructions he had received from Dr. Muhajir. For the last three weeks of this period, I had stayed with Dr. John Fozdar, a Knight of Bahá’u’lláh and his family in Sandakan. When I was with Dr.John Fozdar he handed me a letter from the RSA instructing me to go to Laos. Finally, I got the news on my final destination- Laos in Indo China. I was to go to Laos and team up with Firaydun Mithaq, my buddy since elementary school years in Iran. Therefore, I returned from Sandakan in February 1964 to Singapore from where I took a train all the way to Kuala Lumpur and then to Thailand, and eventually arrived in Vientiane. I stopped over in Kuala Lumpur, where I met the American pioneer, Bill Smits, at a Bahá’í gathering at the home of one of the local Bahá’ís. 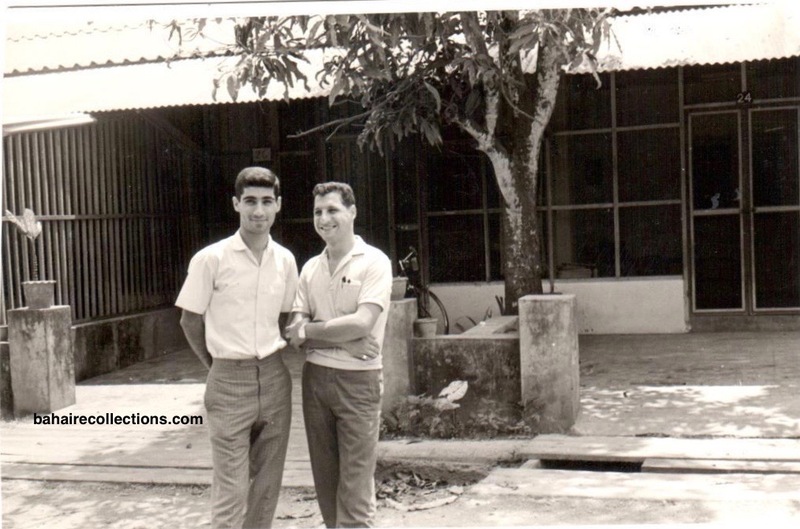 When I arrived in Vientiane in March 1964, I was welcomed by my buddy, Firaydun, whom I had not seen in 17 months since we had left Iran. He had settled in Laos since 4 December 1962, and had learned the Lao language quite well. He lived at the Bahá’í Center in Ban Nahaidio, located in north side of the city, a two-floor building with a number of rooms occupied by a few friends. Firaydun worked as an electrician with the U.S. Aid for International Development (USAID). He also was occupied, among his other local teaching activities and services, with associating and teaching the Faith to the Buddhist monks at their temples. 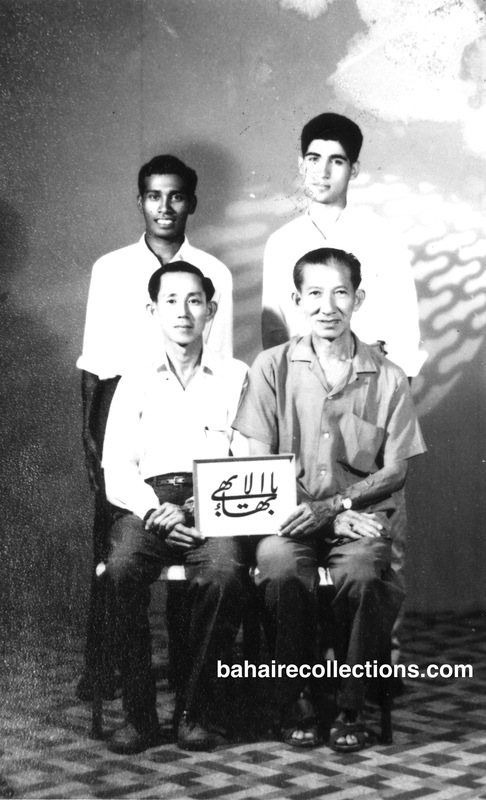 Besides Firaydun, there were Miss Bahiyyih Sohaili, a Bahá’í pioneer from India who worked with the Indian Delegation associated with UNO; Mr. Hla from Burma Myanmar who taught mathematics at the American School; and Mr. Visagh, a Vietnamese student who studied at Lycée, the only French school in Vientiane. The entire second floor was occupied by a French-Thai young lady known to us by her first name, Vanida. She was a professional doll-maker who made dolls that represented various ethnic groups in Southeast Asia. I met her years later in January 1993 in Bangkok where she ran a very elegant gift shop at one of the famous hotels. She was a good friend and defender of the Faith. Firaydun and I discussed mass teaching in Laos. We drew our inspiration from the life of Dr. Muhajir. We were impressed by the early mass teaching work that Dr. Muhajir had done in Mantawai Island in Indonesia. 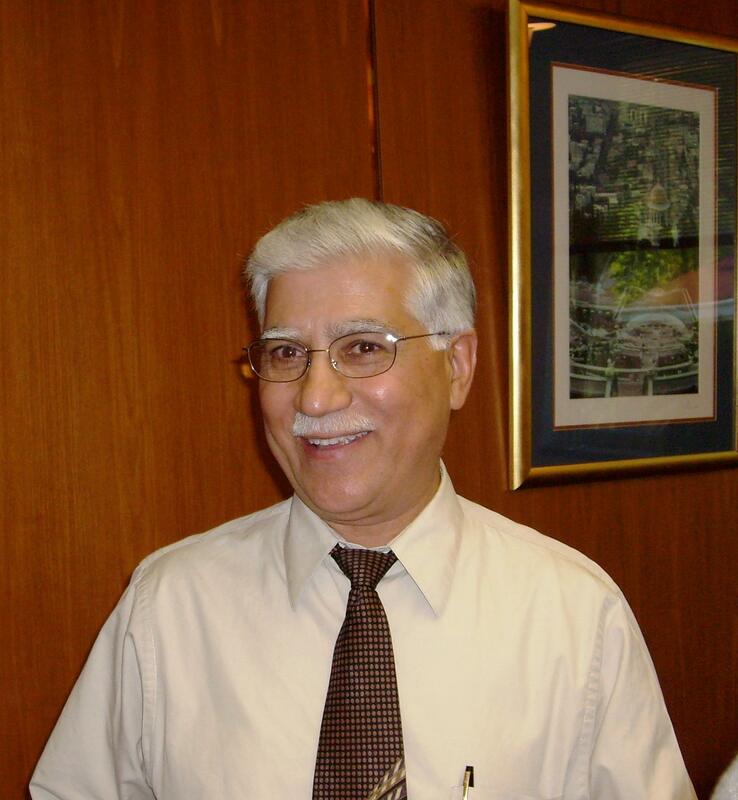 We had learned that Dr. Muhajir had adopted the themes discussed by `Abd’ul-Bahá in His book, Secrets of Divine Civilization as part of his teaching and education techniques. With the assistance and guidance of Firaydun and other Bahá’ís who had settled earlier in Laos, I started to settle down fast. Each opportunity was spent in teaching the Faith. The Ten Year Crusade had ended in Ridvan 1963. Ridvan 1964 saw the beginning of the Nine-Year Plan (1964-1973) and that year saw the dissolution of RSA which gave birth to the creation of six National Spiritual Assemblies in Southeast Asia. Firaydun traveled to Bangkok to attend the first National Convention of the Bahá’ís of Thailand, and brought back materials and instructions for the development of the Faith in Laos during the course of the Nine-Year Plan. Firaydun’s also brought back an impressive account of the National Convention in Thailand where Hand of the Cause Amatu’l-Bahá Ruhiyyih Khanum was the official representative of the Universal House of Justice. To crown it all Firaydun gave the good news that Dr. Muhajir would be visiting Laos to meet with the friends. That announcement created a buzz in the gathering. We knew Dr. Muhajir was sure to inspire and guide us to scale unimaginable heights. But there too lay our challenge. We would not be welcoming the Hand of the Cause with open arms. More than that we were acutely aware that Dr. Muhajir would want to get good news from us in the form of positive reports, interspersed with concise statistics. Wheels started to turn and we were grabbing every book, record, document and other resources available. I was told that Dr. Muhajir had first come to Laos in 1958 during the time of Dr. Taeed and left much guidance and lessons to be followed in teaching the Cause. While waiting for the arrival of Dr.Muhajir we were actively involved in teaching the Faith to the Hmong tribes, which Dr. Muhajir had emphasized earlier. To implement the renewal of mass teaching work, Firaydun transferred his job from USAID in Vientiane, to the town of Sayaboury, northwest of Vientiane, and closer to Thailand border.He stayed in Sayaboury, from 10 April 1964 to 10 may 1967. This town was the center around which the hill tribes, including the Hmong people whom we had in mind, lived in their villages. Although he was in Sayaboury, he made frequent visits to the southern provinces of Laos where mass teaching was taking place among the Buddhist villages. I joined Firaydun in about July 1964. Firaydun and I planned regular visits to a Hmong village closest to Sayaboury, which was called Ban Nam Dtan (Sugar Village), a three-hour walk each way. One of them, Mr. Lysaw, helped us with an audio tape message to the Hmongs in which he introduced the Bahá’í Faith and encouraged the Hmongs to investigate it. We managed to build a school, with the assistance of the men in the village, for their children, at least 25 of them. We taught them English language and basic hygiene. This went on for almost a year, through the spring of 1965. We were informed that Bahiyyih who was in Vientiane had planned to leave Laos and settle in the neighboring Thailand. We examined our circumstances and decided to return to Vientiane to help with the consolidation of the small Bahá’í community there, in Bahiyyih’s absence. Firaydun was to resume his work with USAID in Sayaboury and visit the villages routinely. But my heart was still in Sayaboury where there was a greater opportunity for us to teach the Faith to a greater number of people. Dr. Muhajir believed that teaching activities should be maximized in receptive areas. About this time, I received a personal letter from Dr. Muhajir. In it, he admired the efforts we all had put in to carry the message of Bahá’u’lláh to various tribes in Laos. He also encouraged us to be mindful of helping with the formation of Spiritual Assemblies in the villages as soon as possible. He concluded his letter by quoting a short Tablet from `Abd’ul-Bahá in which the Master calls the believers to arise to serve the needs of the Cause. I replied to Dr. Muhajir that my longing was to be of service among the northern tribes in Laos. Shortly after I had returned to Vientiane, Mr. Chester Lee and his wife, Jacqueline Hoe, had arrived in Vientiane by boat on the Mekong River from Phnom Penh, Cambodia. They said they were banished from Cambodia due to their Bahá’í teaching activities. Within a few weeks, another pioneer had arrived, this time from Iran, via Thailand. That was Miss Manijeh Shafi`í Javid. I wrote to Firaydun of the glad tidings of the arrivals of the pioneers and urged him to come to Vientiane to visit them. He immediately came down and stayed for a week. We got acquainted with the new pioneers. Firaydun returned to Sayaboury, as a happy man, now that we had more soldiers to work for the Cause. Here was a country that was receptive to the Faith, but lacking manpower to cover the length and breadth of the country. We all prayed, and unexpectedly, out of nowhere and spontaneously Bahá’u’lláh sent in the needed manpower. How they all came to Laos is yet another series of interesting story. I just could not understand the mysterious forces of God at work. On a fine midday in June 1965, I was alone in my room at the Bahá’í Center in Vientiane, making annotations on the sacred Writings, when I noticed through the window that a “Samlow” (a tricycle taxi operated by a man) had stopped by the entrance of the Center. From pictures that I had seen of him, I recognized that the passenger was Dr. Muhajir. My heart almost stopped, but I felt elated to see him after I had been waiting for such a chance for almost thirty months. We are living at a time when no Hand of the Cause is still alive. With the passing of the Guardian, the appointment of the Hands ceased. The early Bahá’í who knew the unique station of the Chief Stewards of the Cause of God were most proud to have met them in person. As their number was slowly dwindling, the Bahá’ís seized every opportunity to take their children and other family members to meet these Hands of the Cause at conferences and other Bahá’í gatherings they attended. Taking photographs with them was considered a great bounty. I offer my thanks to Bahá’u’lláh for enabling me to live during the days of some of the Hands of the Cause of God. 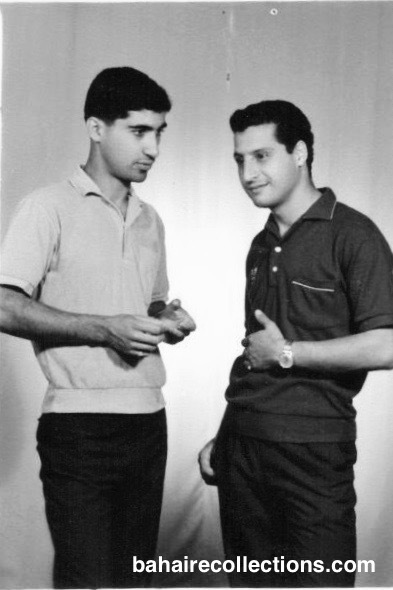 The Hands I personally knew and had conversations or correspondence with during 1960-1997 period were: Tarázulláh Samandari, Shuaulláh `Alá’í, Abu’l-Qásim Faizi, Alí Akbar Furutan, William Sears, Collis Harold Featherstone, Dr. Rahmat’u’lláh Muhajir, and Dzikrulláh Khádem. Here, I am relating my first encounter with the Hand of the Cause of God, Dr. Muhajir. If I am allowed to make a personal observation, the entrance of Dr. Muhajir into the Bahá’i center was like a ray of the sun shining into the Center. He was such a majestic personality, and yet very down-to-earth. After the initial greetings in Persian, we sat at the conference hall of the Center. The Hand of the Cause asked me about the condition of the pioneers and the believers and the local teaching situation. I gave a brief report that Manijeh was working with USAID as a secretary; Mr. and Mrs. Lee were conducting English classes at their home; I was working with Kay Ando Technical Service, collecting newspaper subscriptions; Bahiyyih had already gone to Thailand; and Firaydun was working with USAID as an electrician in Sayaboury in the north. Manijeh who came to work in the Bahá’i School in Yasothon in northeast Thailand in the summer of 1965 had come over to Laos. After hearing my brief report Dr. Muhajir paused for a while. He told me that I should be joining Firaydun in the north, and that teaching the tribes anywhere in the world was very important at that stage in the development of the Faith in the 1960’s. I suggested that I inform Firaydun to come to Vientiane for a meeting of all pioneers with the Hand of the Cause. He consented and, in less than 24 hours, Firaydun was in Vientiane for this meeting. The pioneers sat around the dinner table. Vanida, the doll seller also sat with us. As a Bahá’í sympathizer she had witnessed the growth of the Faith in Vientiane from the beginning, and expressed some concerns that my leaving Vientiane for Sayaboury would be like uprooting a plant that had just begun to grow. This was brought up during the conversations that we had during the dinner. When it was my turn to explain the justification for me to settle in Sayaboury, I quoted `Abdu’l-Bahá’s remark that sometimes one soul could become the cause of the guidance of an entire nation. Dr. Muhajir kind of jumped in, to elaborate further. To everybody’s surprise, his approach was quite simple. He made us believe one need not be a philosopher or a scientist to carry out teaching work in the north. Dr. Muhajir made it plain that even if Firaydun had to quit his job and join me in traveling to as many villages as possible to give the message of Bahá’u’lláh, that would be a great service. We all concurred with the thoughts of Dr. Muhajir. As usual, with the visit of Dr. Muhajir came more responsibilities as well. Dr. Muhajir met the National Teaching Committee and pushed for the early formation of a National Spiritual Assembly. To strengthen the administrative system, Dr. Muhajir wanted to appoint an Auxiliary Board Member for Indo-China. When he consulted me, I told him that Firaydun would be the best and most natural choice. A month later I received a shocking telegram from Dr. Muhajir saying I was appointed Board Member for Laos, Thailand and Cambodia. Later I came to learn that Firaydun had recommended me to Dr. Muhajir. I was very touched by the gesture of this Bahá’í brother. Firaydun was later appointed Counselor in this part of the world. As a Counselor he did remarkable services for the Cause. Anytime I think of the night of our meeting with Dr. Muhajir I am reminded of the Lord’s Supper: here we were a bunch of humble and enthusiastic servants of the Faith who, each in his or her way, strove for strengthening the Faith of God in Laos. And it was to this great teacher of our lifetime to whom we clung for guidance. What that night and that 4-day visit of Dr. Muhajir did to us, resulted in a kind of collective rebirth. During the discussions he had with us, Dr. Muhajir tenderly pulled us out of our scholastic understanding of the Faith and conveyed to us the practical and spiritual aspects of the Faith in operation. Within those four days he had prepared us in a way that we could perform the tasks most effectively under all situations. He was always charged with positive spirit and highly energetic. Mere association with him and exchange of a couple words with him was suffice to keep our spirit going on for the next many days, or weeks. During these four days Firaydun and I would meet the Hand of the Cause at the hotel where he stayed. The simple Hand of the Cause chose a very simple hotel. He was often praying when he was alone. What a privilege. Dr. Muhajir chose to leave with me volume 1 of the Master’s Tablets that Dr. Muhajir used to recite. I had asked him if he cared to browse through two extensive articles I had written regarding the Bahá’í Universities and the Bahá’í Encyclopedia. He agreed and told me that he will take my articles with him and leave them with the Hand of the Cause Mr. Furutan in Holy Land. As a parting message Dr. Muhajir told me it was important to focus on teaching in the northern villages, which I did shortly after he left Laos. When Dr. Muhajir left after this visit, we felt that we had missed him, yet we were confident that with the guidance received from him, we could carry on the work of expansion and consolidation more efficiently. This significant encounter with the Hand of the Cause helped us understand the spirit of the Nine Year Plan that was in force. Whenever Dr. Muhajir came to Laos, he worked with us in the field by visiting new communities in southern towns of Laos, or looking for the properties for a National Center or a Temple Site. We wanted to give him the best form of transport, though it was very expensive. But he was traveling with us on foot to the most remote places up in the hills and down the valleys, coming along as pillion rider on our motorcycles, and riding on tricycle taxis. He would stay in a hotel or in a village hut. He was indeed a man of all seasons, able to adjust to all situations all for the love of God. The Faith is for everyone. On one of these occasions, he chose to cross the border from Savannakhet, the second largest city after Vientiane, to go to Thailand, rather than leaving directly from Vientiane. This was intended to promote border teaching. His ideas of teaching at the borders, in the prisons, or having a central information center for pioneers- all indicated how urgent it was to inform the generality of mankind of the advent of the Revelation of Bahá’u’lláh. He often said the Faith was for every human being on this planet, and no one should be left out. When it came to the protection of the Cause from the internal enemies, he would say give them a chance to do it. It will not take too long before the truth of their intentions become evident, and the community and the institutions will give the appropriate response. As for external enemies who attacked the Faith, he said we should welcome that as they, according to the Master would promote the Faith more than the believers. He said in jest we should pray for more opposition from them as they were in the front line of promotion of the Cause. Dr. Muhajir was moving across the entire world, including focusing on the entire region of South East Asia. He was a master in mobilizing human resources among these countries. He well understood the capacity of the Bahá’ís he moved with. The one measure Dr. Muhajir took to nourish the pioneers and encourage the expansion work in Laos was to send us his Auxiliary Board Members (ABMs)—who were themselves involved in mass teaching work in the countries they served. They visited us, inspired us, and remained in contact with us. He first sent, I think, Dr. Nurodin Soraya (1920-1995) from Indonesia in June 1966. In Vientiane Dr. Soraya, while giving words of comfort to the believers and providing assistance to needy Bahá’ís, also officiated the Bahá’í wedding of Mr. Fazlollah Faridian (now Sukhum Abhasakun) and Miss Chussiri, the Thai lady who had embraced the Faith through him. Dr. Soraya had told us that he himself was inspired by Dr. Muhajir’s services among the tribes and he wished to follow his services to educate the indigenous people. Orpha told us of how she and other pioneers in Philippines were impressed by Dr. Muhajir. To Ruth, the American pioneer who had settled in the Philippines, the Hand of the Cause had said: “Go to Japan and stay at the service of Agnes Alexander and don’t do anything else; because Agnes is the Master’s trust among us. You just serve her.” Jack Davis, another American pioneer from California who settled in the Philippines was at times disappointed with the challenges he had to face. With a dejected heart he had said to Dr. Muhajir, “I guess I must be returning home”. Dr. Muhajir had responded, “Where is your home? The teaching field is the home for a pioneer!” This question came as a thunderbolt for Jack. It seemed as if Dr. Muhajir at that moment was engaged in re-creating Jack Davis for the rest of his life. He held Jack’s hand in the middle of the busy street in Manila and made him recite the Tablet of Ahmad. It is not Dr. Muhajir was that hard a person. He was hard only to those he loved most. And he did love Jack Davis. Around November 1966, just six months before the Laotian Convention to elect the first Spiritual Assembly of the Bahá’ís of Laos, Dr. Muhajir asked Yankee Leong of Malaysia to go to Laos and remain there until after the convention, which he did. Firaydun and I accompanied the Yankee Leong to visit our Chinese contacts in various towns, where firesides were organized. He made his classic presentation of the Faith to the Chinese friends. Yankee’s presence among us was one more indication of Dr. Muhajir’s care and love to see that Laos becomes a beautiful community in the Bahá’í world. Somehow Dr. Muhajir seem to know whom to choose for specific tasks for the Faith. Those he sent to assist in Laos were about the best, as they had done excellent work, which is remembered to this day, with eternal gratitude. First National Convention, 1967. Front seated L to R: Bahiyyih Soheili, a Yao delegate, Yan Kee Leong, Swang from Bangkok, Dr. Muhajir, Shirin Fozdar, Parvati Fozdar, another Yao delegate, Chusiri Faridian [now Abhasakun], Manijeh Bayzaee. Standing behind Bahiyyih is Firaydun, then Mr. Khamsay, Bijan Bayzaee. I wish to digress slightly to pay tribute to a community that gave me the greatest field training. In Laos I was concentrating on teaching the tribes. My earlier mass teaching experience in the interior jungles of Malaysia, in the company of Yankee Leong and Maniam; and later, with Mr. Minoo Fozdar in Brunei, had sparked in me the realization that I was already prepared for teaching the tribes in Laos. I felt I was lucky to have come to Malaysia before proceeding to my eventual destination in Laos. My field teaching in Malaysia turned out to be a perfect training ground for me to be an effective pioneer. Now I could see the wisdom in the delay of my posting. I was clear that once you arise to serve and submit yourself to the Cause, everything that follows, even disappointments are for a wisdom which would come to light at the right time. Manijeh and I were engaged on June 26, 1966, had our wedding on the Feast of Kamál on July 31, 1966 and afterwards we went to the Summer School in Port Dickson in 1966 for our honeymoon. I took my wife to the Summer School in Malaysia to enable her to see for herself a vibrant community that was an example to the region in many ways. Owing to a complexity of circumstances, I left Laos in August 1968, leaving my heart behind. I was devastated when I learnt of the unexpected passing of Dr. Muhajir in Ecuador in late December 1979. He was a Hand of the Cause of God who will be remembered as one of the greatest teachers of our generation, especially in the vast field of mass teaching. In January 1993, I traveled to Thailand and Laos for six weeks. I joined an existing Dr. Muhajir Border Teaching Project, that involved visiting the villages along the Mekong River on the Thailand side. Dr. Muhajir was very much in the hearts of the believers in Thailand and Laos. Many Bahá’i communities have devised teaching projects in the name of Dr. Muhajir. I was only a young boy who had never left his homeland until age 20. Only a few weeks earlier I had left all luxuries and my parents, siblings, relatives, friends, and most dear Bahá’í teachers, all of whom I missed very much. When the youth of my age were busy toiling to create what they called a concrete future for themselves, here was I engaging in what the Guardian called the Spiritual Conquest of the Planet- Ten Year Crusade. That was once in the lifetime event in both the planet and the history. I am happy to have used the prime of my youth and my hey day in the blessed pioneering field. My memories of pioneering shall always be associated with Hand of the Cause of God, Dr. Muhajir, whose company and association would simply turn hearts of copper into pure gold. I have shared a very brief outline of my youth days in the blessed teaching field. That path of service gave me invaluable lessons and experience that money cannot purchase. I thank Bahá’u’lláh for choosing me to serve Him in my prime. Bijan Bayzaee was born in 1942 into a Bahá’í family in Tehran, Iran. The third of the four children in the family, he received Bahá’í education from age 5. From age 11 through 20, he studied the history and teachings of the Faith and became familiar with the proofs of the truth of the Faith by attending various classes that were available, and by his own individual studies. During ages 18-20 he attended the seminars of some of the renowned Bahá’í scholars, among whom Muhandis Ezzat’u’lláh Zabih stood out. Bijan pioneered to Southeast Asia in December 1962, under the Ten-Year Crusade and remained in Laos till August 1968. Since 1986, Bijan lives in USA.